Through its support of governments in low- and middle-income (LMIC) countries across the globe, SIAPS Program has helped many governments address the data management challenges facing their health systems. Governments and their partners are acutely aware of the need for innovative ways to reduce the data burden on health workers. To define and quantify the data burden facing health workers, SIAPS conducted a review of data management and use practices, particularly with respect to pharmaceuticals, in Malawi and Swaziland. Malawi was chosen because of the presence of a SIAPS partner working with the Ministry of Health to improve supply chain data management and pharmacovigilance; Swaziland was chosen because of a recently released study of the health management information system which, although comprehensive on information flow for patient-specific data, did not cover pharmaceutical information flows or individual data burden on health workers. The purpose of the in-country assessments was to gather specific examples and case studies to help quantify and illustrate the data management challenges facing LMIC health systems. During these assessments, the local teams identified the pharmaceutical and health service delivery data being collected at the service delivery points (health centers and hospitals), documented the tools and approaches being used to manage pharmaceutical and health service delivery data, and quantified the level and causes of data burden at the service delivery point. SIAPS staff and partners interviewed health workers such as nurses, their assistants, and pharmacy personnel as well as management at all levels of the health system, including health center management at regional/district level, and central level staff such as chief pharmacists, vertical disease-specific program managers, and health management information systems (HMIS) staff. In addition to these individual interviews, the teams also observed data collection processes at the hospitals and health centers and examined the data contained in the forms and registers. 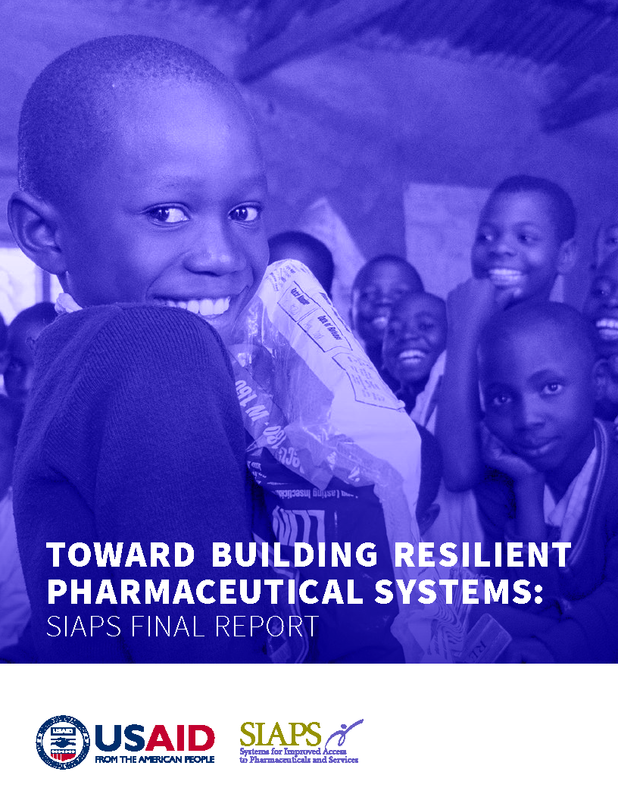 Informed by these in-country assessments, as well as the collective years of experience of SIAPS and its partners in managing these issues, this brief provides both context for and an articulation of the data burden seen within health systems in LMICs. It also provides recommendations for ways that ministries of health, donors, and implementing partners can rethink their approach to data management to improve health service delivery.